2016 is set to be an exciting time for London’s vibrant art scene. 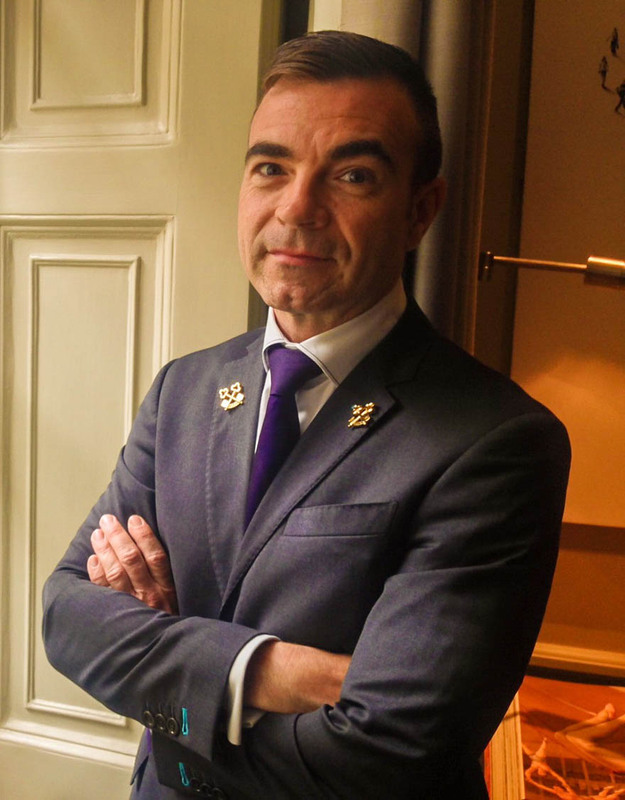 Theo Dubroy, Head Concierge at The Arch London, is officially recognised as one of the finest Concierges in the UK, having been awarded the prestigious Golden Keys. For those who know their Matisse from their Monet, Theo shares his expertise with an itinerary for art enthusiasts visiting London in 2016. Current – 28 Feb: Liberty in Fashion will be taking place at the Fashion and Textile Museum and will explore Liberty’s impact on the British fashion industry. 20 – 24 January: London’s Art Fair will take place at Islington’s Business Design Centre, where industry experts will speak while galleries exhibit. 30 January – 20 April: The exhibition, Painting the Modern Garden: Monet to Matisse, Royal Academy of Arts, will examine the role gardens played in the evolution of art from the early 1860s through to the 1920s. 11 February – 22 May: Vogue 100: A Century of Style will take place at the National Portrait Gallery, and will showcase the remarkable range of photography that has been commissioned by British Vogue since it was founded in 1916. 18 March – 9 October: Scottish Artists 1750-1900: From Caledonia to the Continent, held at The Queen’s Gallery, Buckingham Palace, will highlight the importance of artists whose work was shaped by the ideas of the Scottish Enlightenment. 16 April – 12 March 2017: Undressed: A Brief History of Underwear at the V&A Museum will display around 140 garments together with fashion plates, photographs and film and advertisements to introduce changing concepts of the ideal body. 5 April – 4 September: The Rolling Stones first major exhibition will be at the Saatchi Gallery. EXHIBITIONISM will display over 500 Rolling Stones artefacts from the band’s personal archives. 11 May – 25 September: Tate Britain will be holding the exhibition, ‘From the Pre-Raffelites to the Modern Age’ which will bring together photographs and paintings including Pre-Raphaelite, Aesthetic and British Impressionist works. 19 – 22 May: Somerset House will hold Photo London, an international photography event featuring over 80 exhibitors from vintage to contemporary. 5 – 12 June: ArDe is a brand new contemporary architecture and design exhibition which will launch at Somerset House and will feature innovative and groundbreaking design solutions for living. 6 July – 30 October: The American modernist artist, Georgia O’Keeffe, will be at Tate Modern a century after her New York debut. The exhibition is the first important solo institutional exhibition of the artist’s work in the UK for a generation. 7 – 27 September: London Design Biennale will be held at Somerset House and will bring design installations and exhibitions from up to 40 of the world’s nations to the heart of the capital. 14 September – 8 January: In his first museum exhibition in London since 1952, the Tate Modern will showcase the works of Wilfredo Lam at The EY Exhibition: Wilfredo Lam. 5 – 8 October: Frieze Art Fair: One of the world’s leading contemporary art fairs will be returning to London and will feature leading figures, philosophers, and critical theorists. Tickets will be released July 2016. 26 October – 5 March 2017: Paul Nash, one of the most distinctive and important British artists of the twentieth century, will have his work displayed at Tate Modern. 1 December – 2 April 2017: Tate Modern will host the first UK exhibition of painter Robert Rauschenberg’s work for 35 years. For an aesthetic retreat in the capital, The Arch London features its own unique instalments whilst sitting just a stone’s throw from numerous acclaimed London galleries. A black and white ‘Alphatecture’ series of prints spans the length of the gallery-inspired hall, while a moving art installation illuminates the reception desk.